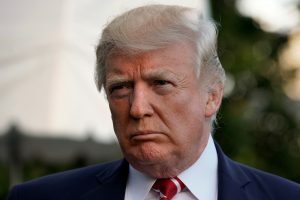 President Donald Trump promised Monday there will be “no change” to tax incentives for the popular 401(k) retirement programs. “This has always been a great and popular middle class tax break that works, and it stays!” Trump tweeted. The president appeared to be responding to a recent report in The New York Times that Republican lawmakers were considering limiting the amount workers could save in 401(k) retirement accounts. House Republicans will be working to pass a budget this week so they can turn their attention to tax reform. Trump warned Sunday that action on tax reform is crucial to avoiding political failure in 2018. He personally implored House GOP members on a conference call to swiftly adopt the budget that was passed last week by the Senate, with the hope of clearing the way for what he described as historic tax cuts. Trump told the lawmakers they were on the verge of doing something historic, according to one Republican official, who, like others, spoke on condition of anonymity because they were not authorized to discuss publicly what was intended as a private update for members. Another GOP aide familiar with the conversation said Trump told the members again and again that the party would pay a steep price in next year’s midterm elections if it failed to pass his plan. The Trump proposal would slash the corporate tax rate to 20 percent and double the standard deduction used by most Americans. The president also said multiple times that his plan was the right thing to do for country, this person said. The Senate last week passed a budget plan that includes rules that will allow Republicans to get tax legislation through the Senate without Democratic votes or fear of a Democratic filibuster. House Republicans signaled Friday they would simply accept the Senate plan to avoid any potential delay on the tax measure. Republicans are desperate to rack up a legislative win after a series of embarrassing failures that have come despite the fact that the party controls both chambers of Congress and the White House. At the top of the list: their stalled attempts to pass legislation repealing and replacing “Obamacare.” If tax reform doesn’t pass, many in the party fear an all-out revolt in 2018. On the conference call Sunday, House Speaker Paul Ryan told members he hoped to pass the Senate version of the budget bill this week to increase the chances that tax reform can be enacted by the end of the year. The leaders emphasized the need for the House to pass the Senate budget to avoid negotiations between the two chambers that could slow the process, said two lawmakers on the call, who also spoke on condition of anonymity. They said the goal is for House passage of the budget this week, putting it on track to approve a tax bill by Thanksgiving. Yet lawmakers have yet to work out crucial details of the plan, including which income levels would be framed in what way by new tax-brackets. Trump, who spent much of the weekend at his golf course in Virginia, will also work to rally support for the plan on the Hill Tuesday at a lunch with Senate Republicans. He said he’ll be available to talk with members about the tax bill, one lawmaker said. But as the focus turns to taxes, Congress continues to struggle with health care legislation. Senate Majority Leader Mitch McConnell said Sunday he’d be willing to bring bipartisan health care legislation to the floor — if Trump makes clear he supports it. A proposal by two senators – Republican Lamar Alexander of Tennessee and Democrat Patty Murray of Washington – would extend for two years federal insurance payments that Trump has blocked, in an effort to stabilize insurance markets. But Trump has offered mixed signals, alternately praising and condemning the effort – confusing Democrats and Republicans alike. Jill Colvin and Alan Fram wrote this report. Erica Werner contributed.